Apple Picking is of course included in almost everyone’s Happy Day list. 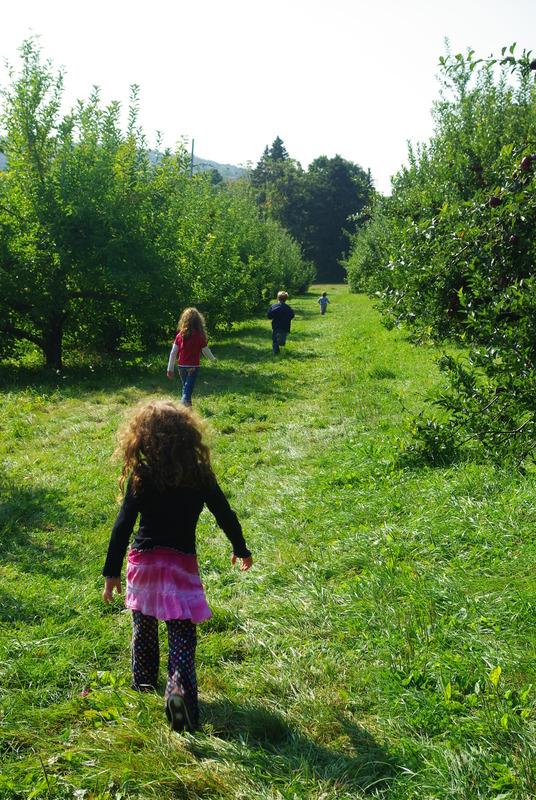 In Westchester, there are a few orchards to choose from, and my family has tried them all. Our favorite? 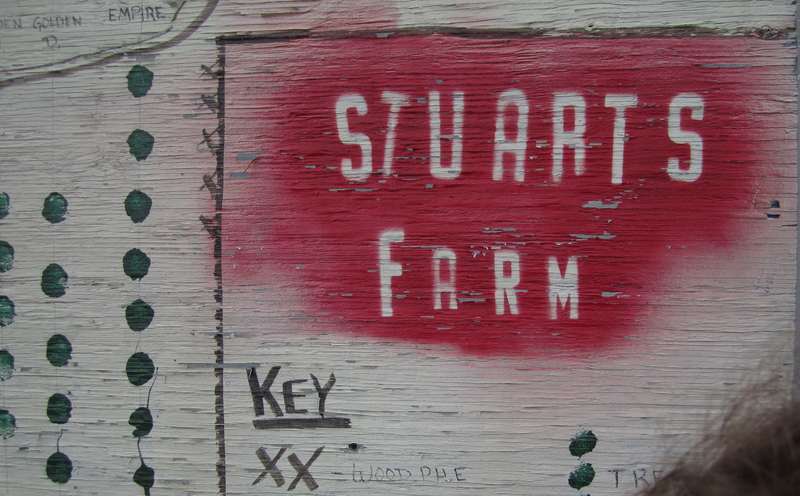 Stuart’s Farm, located in Granite Springs. 1) Low fruit! Everyone can pick at Stuart’s Farm. No long poles or tree-climing is necessary (unless you want to). Little people will not be left out. 2) Donuts! Luckily, Stuart’s added a bakery to their offerings just a few years ago – because apple-cider donuts are a definite must after apple-picking. 3) No crowds! I’ve never seen a huge crowd here. That’s because it’s low-key- no carnival games or rides, just apples, pumpkins, fruit, cider and donuts. Simplicity. If you’re looking for a sweet and mellow day of apple picking, this is the place. 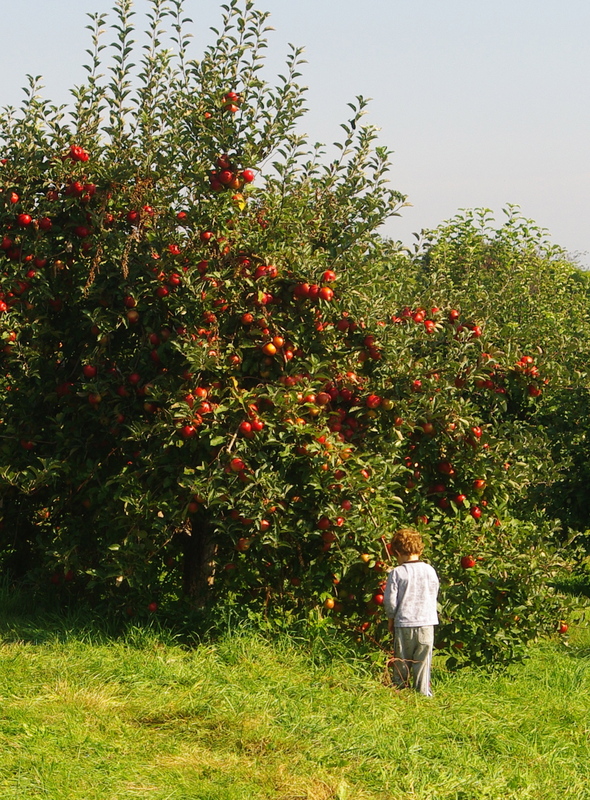 If you choose Stuart’s for your apple picking, there’s no need to worry about overstimulated kids or long lines. 4) History! This is my personal favorite. There aren’t that many places around here where you can actually feel the history. Staurt’s is a family owned farm- it’s been owned by the Stuart family for six generations, since 1828. The fruit stand, where you’ll buy your bags, was built by the family in 1886; the original farm house on the property is still being lived in and was built in 1760. 1) Wear long pants and old shoes or boots – of course. 2) Check out the awesome map, painted on a giant piece of wood, and hanging at the edge of the orchard. It will tell you exactly where to go to get the kinds of apples you like. It definitely adds to the down-home, country farm feel of the whole place. 3) In order to spend a decent amount of time actually apple picking, you’re going to have spring for the big bag. With my family of six, we have to spring for two big bags. Just face this ahead of time – you are going to be going home with a lot of apples. Plan ahead of time to give some away, and do lots of baking. 4) Be sure to stop for donuts – and pumpkins – on the way out. 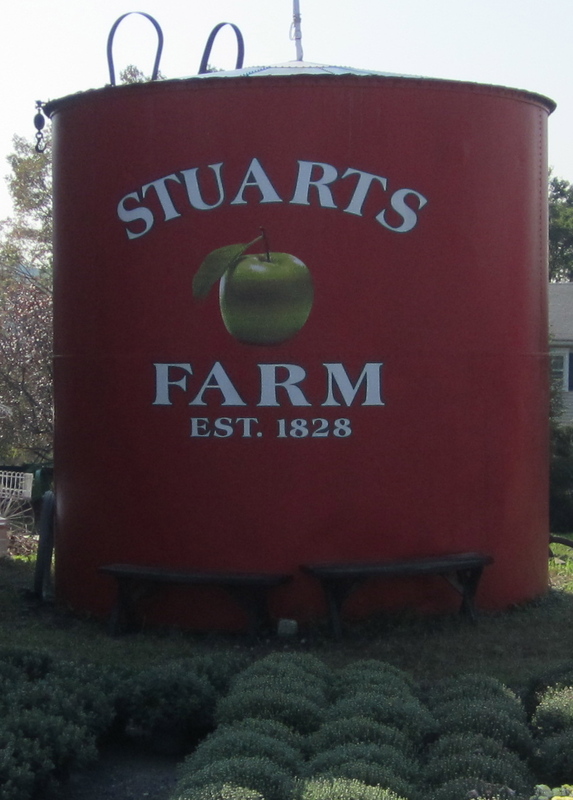 Love Stuart’s Farm – and I learned to make applesauce because of it! WHM- I agree. Our favorites include apple bread and a crock-pot specialty called “squashed apples”. Great information to keep in mind, especially when little ones are involved. Some of the other orchards that I have been to are definitely too overwhelming. Cfoy- Yes, that’s why we love it at Staurt’s. No one has a good time if the kids get over-stimulated and cranky! we go to wilkens farm in yorktown EVERY year — it’s a must for our family — and we love the same low-key feel of the day, as well. i totally agree you have to be prepared to bring home a lot of apples — the fun of the day is picking the apples, so you want to let you kids really go at it! we also have found over the years that the crowds tend to come after lunch, so if at all possible, go earlier rather than later in the day. Carol- good tip! Early in the day is a good rule of thumb-we try to do everything early to avoid crowds. We’ve been to Wilken’s Farm too- it’s another great choice. I did not know about this farm, and the “no crowds” is very very appealing!!! Thanks, can’t wait to go next year! Emily- I’m glad I could help! Thanks for the feedback.